BEIRUT (AP) — World leaders rallied around the United States after it launched a missile strike early Friday on a Syrian air base in response to this week's chemical attack, while Russia condemned the move as "aggression" and suspended crucial coordination with Washington in Syria's congested skies. 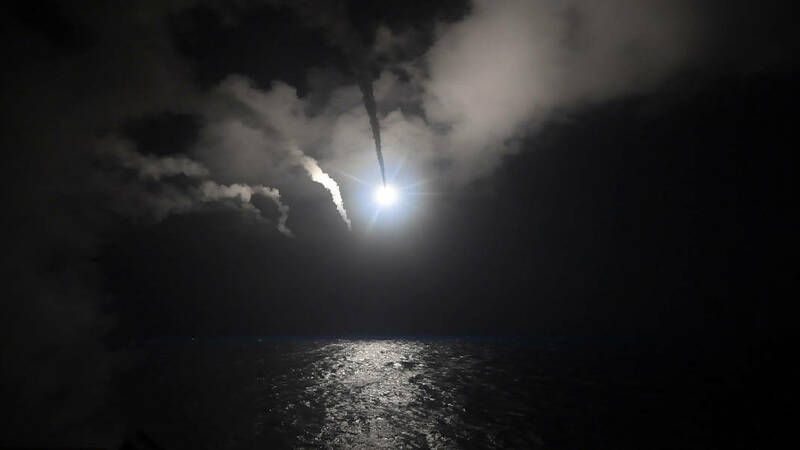 The Syrian military said at least seven people were killed and nine wounded in the missile strike. The Britain-based Syrian Observatory for Human Rights, an opposition monitor, also put the death toll at seven, including a general and three soldiers. "For some time I have been deeply concerned about the horrific crimes Syrian dictator Bashar al-Assad has committed against his own people. I completely support President Trump's crucial and necessary action to strike the Syrian airbase. The limited missile strike showed America will not tolerate such inhumane actions."